When critics of the USPS claim that the organization isn’t doing enough to maintain costs, the conversation seems to focus on volumes. First-Class Mail volumes continue to decline, about 3.9% from 2017 to 2018. As always, it’s important to emphasize the differences between single-piece mail – which decreased by 6.0% – and commercial mail – which only decreased by 2.4%. 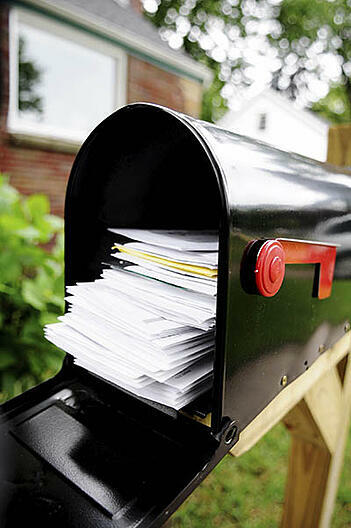 USPS Marketing Mail also saw a slight drop – about 1.4%. That leads the discussion to the importance of parcels, which continue to grow in volume. First-Class Package Services are up 32% and Priority Mail by 4.7%. And the money from parcels now accounts for 29% of the agency’s revenue. What isn’t talked about – and isn’t in the USPS financial reports – is the number of delivery points. The USPS service over 158 million delivery points, more than a million than the previous year. To give that some perspective, a million households is the equivalent of the cities of Cincinnati, St. Louis and Pittsburgh – combined. All those additional delivery points require more people, more vehicles and more fuel. While technology can create more effective routes and more efficient vehicles, it won’t mean a net-zero sum. Especially when the cost for a gallon of gas increased by 11% in 2018. Under the current system, the USPS can’t raise postage rates for market dominant products above the rate of inflation as determined by the Consumer Price Index (CPI) for the previous year. That’s a backward-looking approach that no private company follows. Instead, businesses look forward, anticipating future expenses, and set prices to cover their anticipated costs. There’s a reason why UPS and FedEx are raising prices by double the USPS rate increase – and that’s not including fuel surcharges – which the USPS can’t charge their customers. Legislative reform is mired in the House and Senate. The split-decision of the midterm elections further narrows the chance for any bill to be passed. Perhaps there could be a lame duck deal, like the one that resulted in the Postal Accountability and Enhancement Act (PAEA) in 2006. However, holding out for that to happen would require a lot of optimism. It’s been almost a year since the PRC announced their findings from the mandatory review of the rate-setting process. For a reason not shared with the general public, the PRC has yet to put the new rules into place. Perhaps the newly appointed USPS Board of Governors can help move that process along. The bottom line is the bottom line. Mailers and shippers don’t want to hear this, but to get on sound financial footing, the USPS needs to raise rates greater than the CPI. If the PRC puts the new rate setting rules in place, the USPS could file for a second rate hike in 2019. It would be the fiscally responsible move by management.